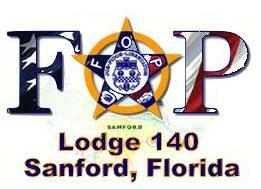 Sanford FOP Lodge #140 was established in 1993 by the members of the Sanford Police Department. We also have members from the Seminole County Sheriff's Office, Lake Mary Police Deptartment, and Orlando Sanford International Airport Police. We help Police Officers and their families, as well as getting involved with the community. Thank you to everyone who has helped and your continued support . Click here to go to page two and meet our board. Let's not forget our fallen Hero's.